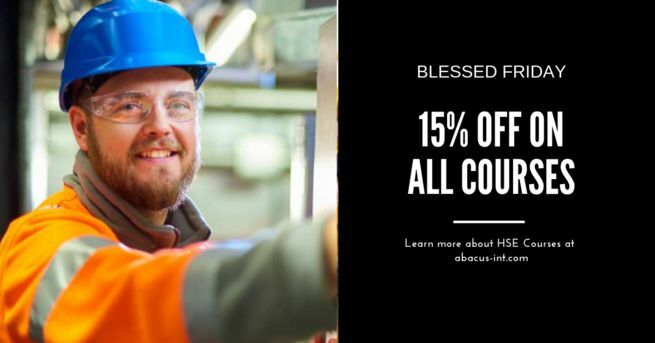 "Are you planning to upgrade your Safety Profile? 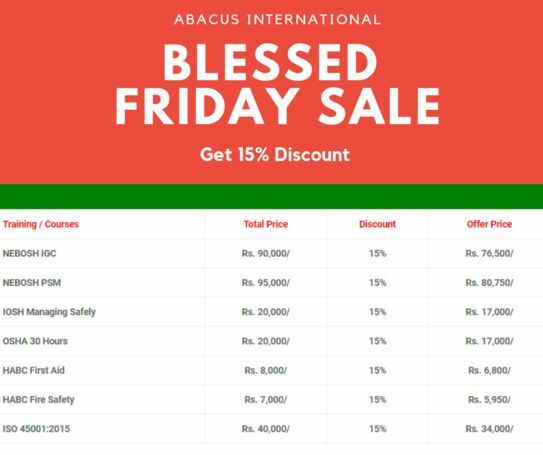 Its time to be blessed as Blessed Friday shines at Abacus with 15% Flat Off on ALL the courses. 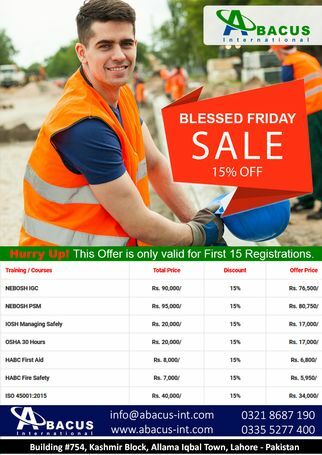 Its time to become NEBOSH Certified! 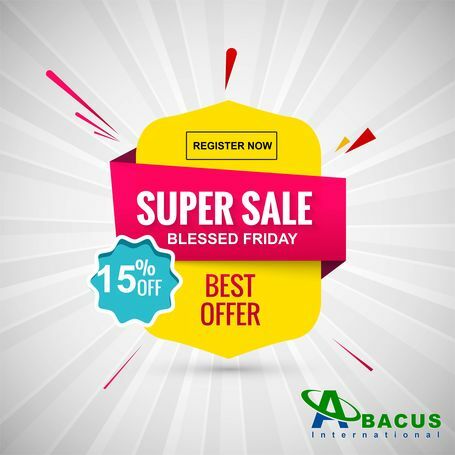 Hurry Up as offer is valid for First 15 Registrations!!"